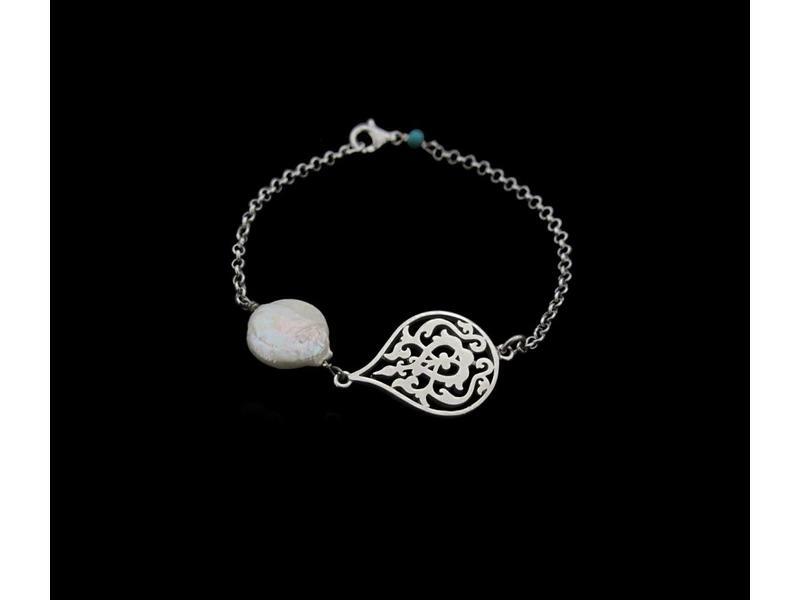 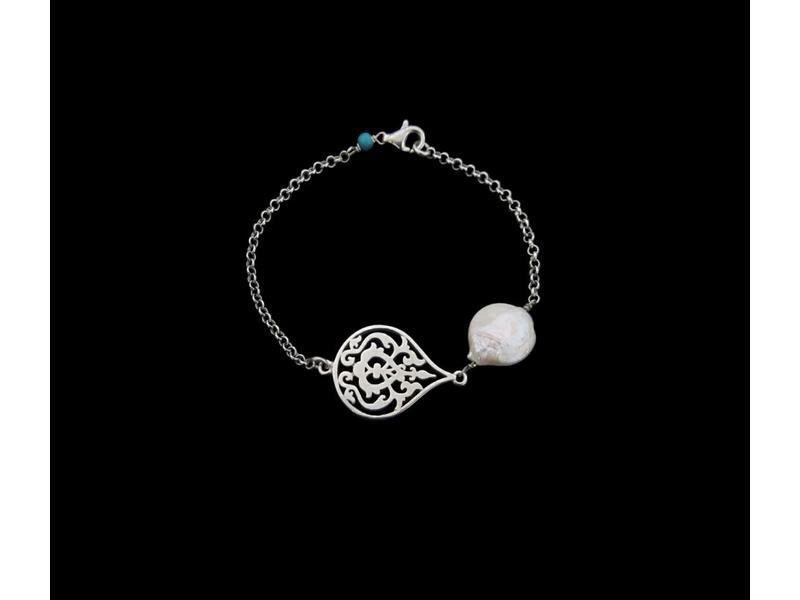 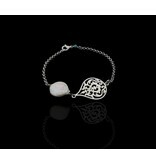 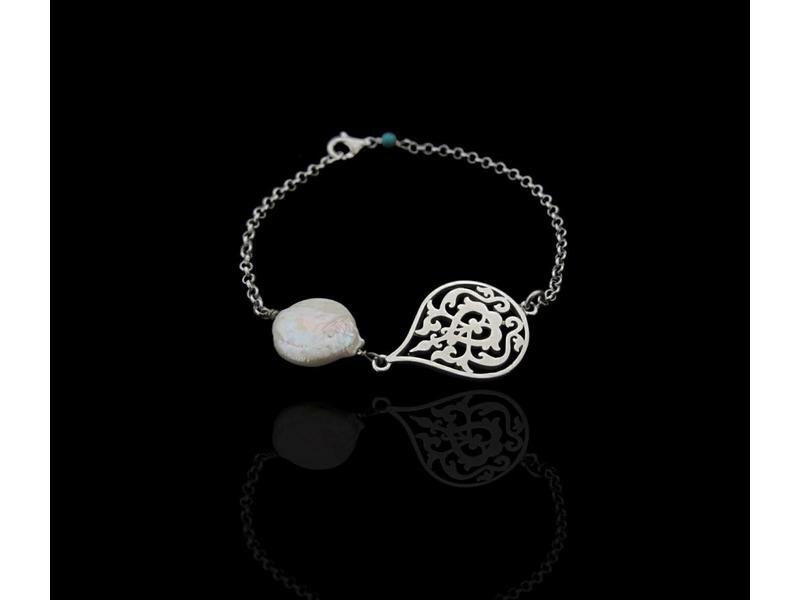 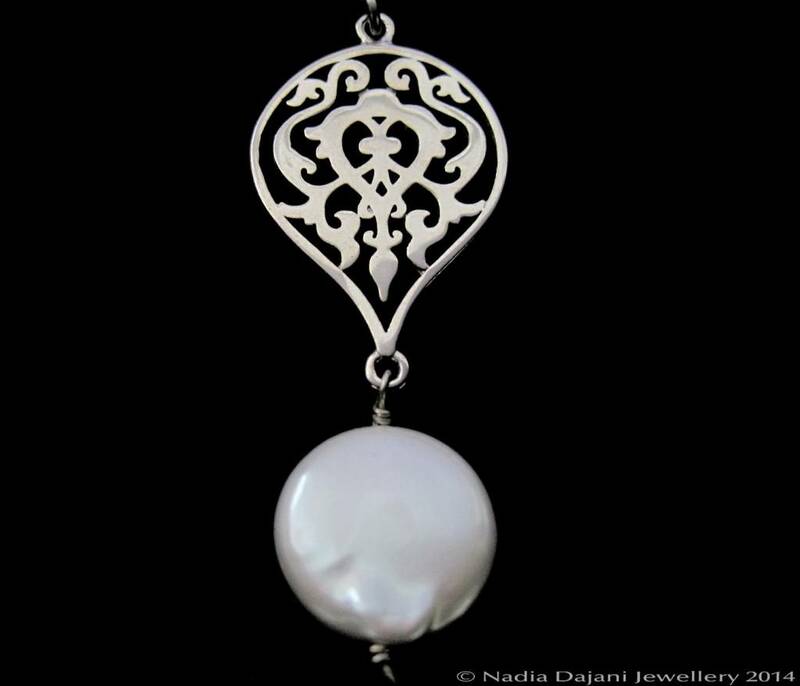 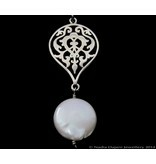 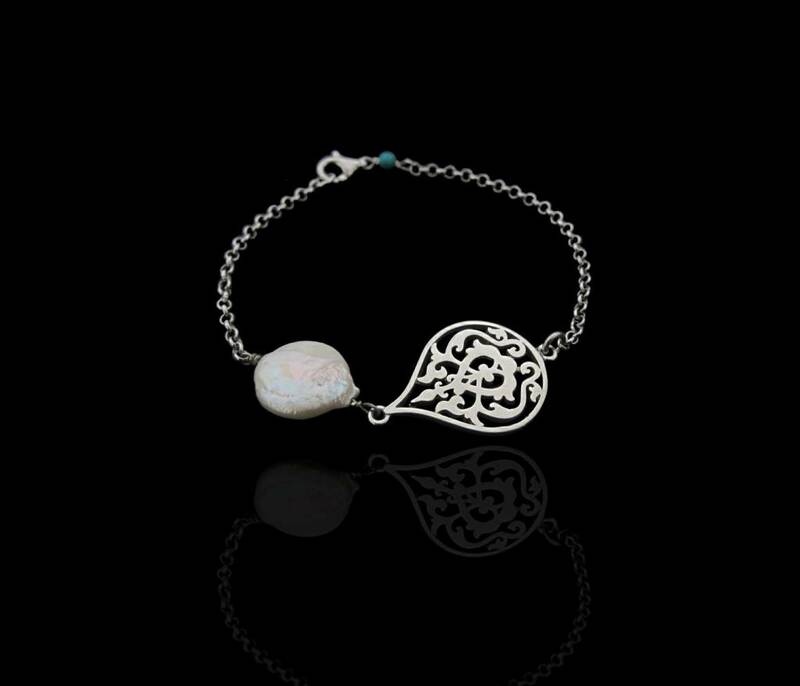 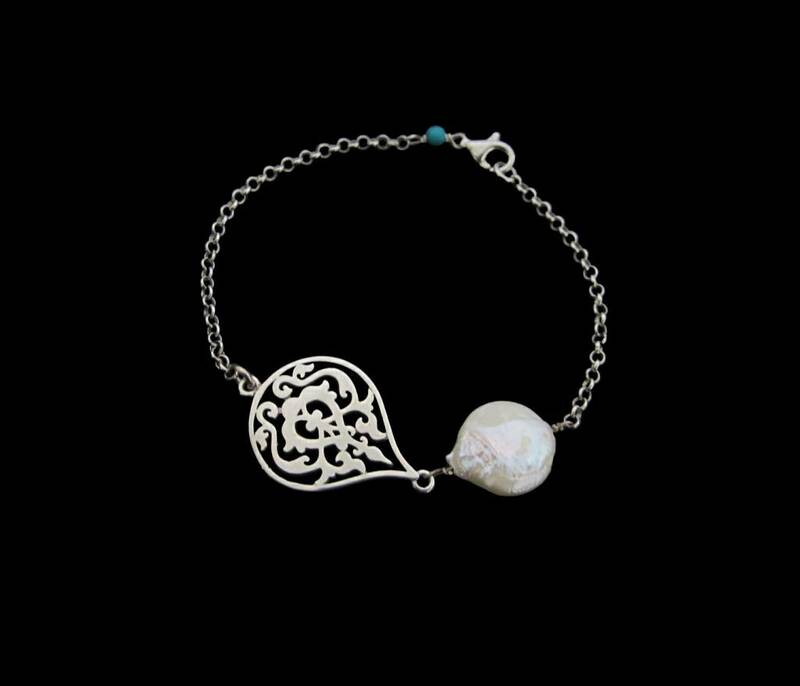 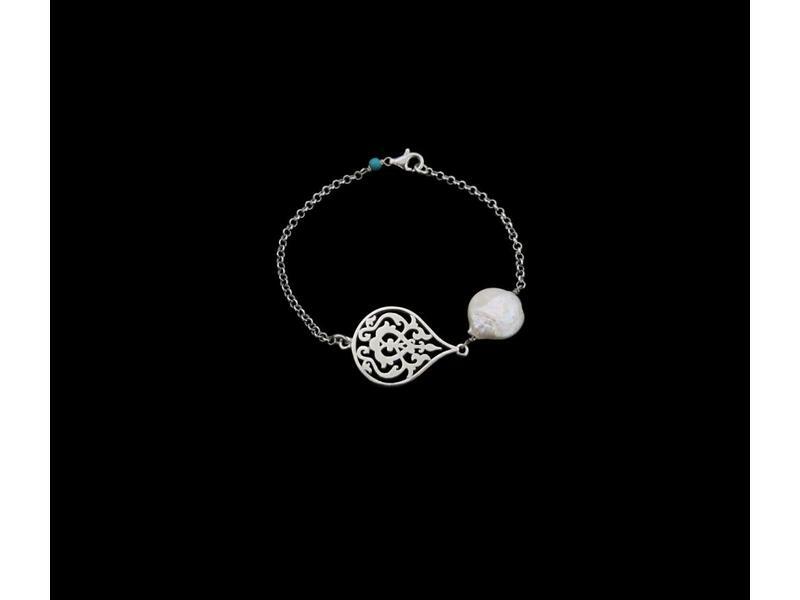 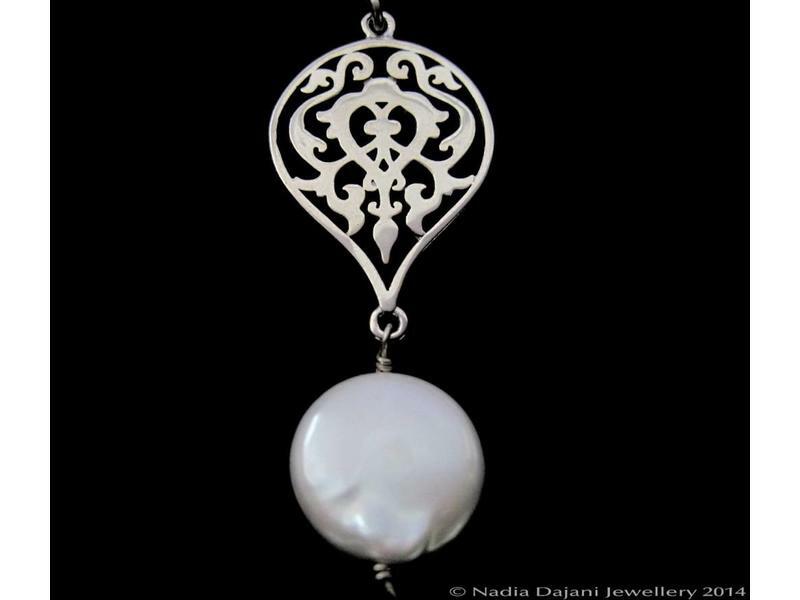 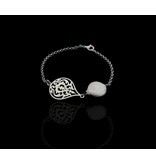 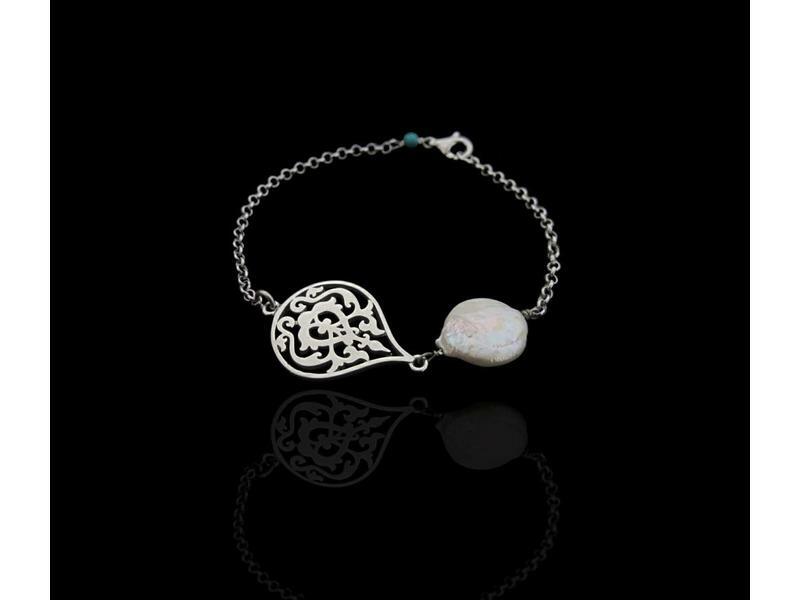 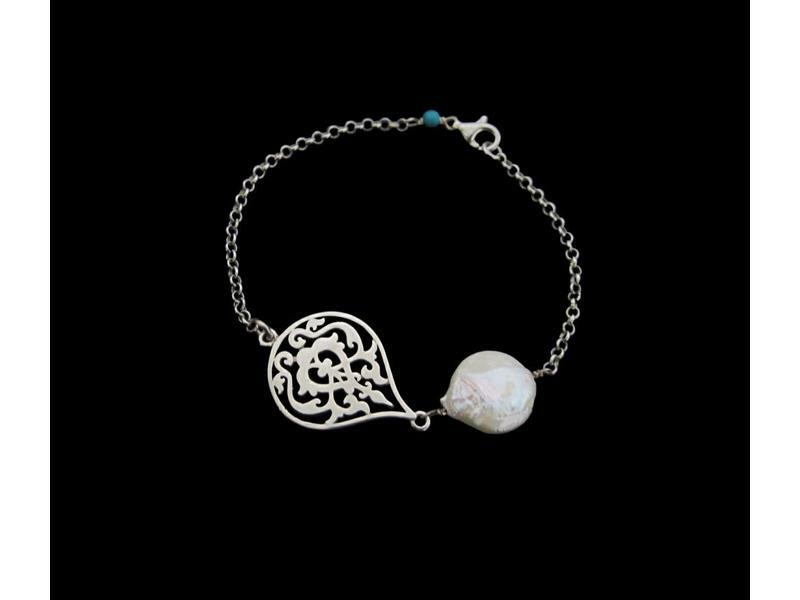 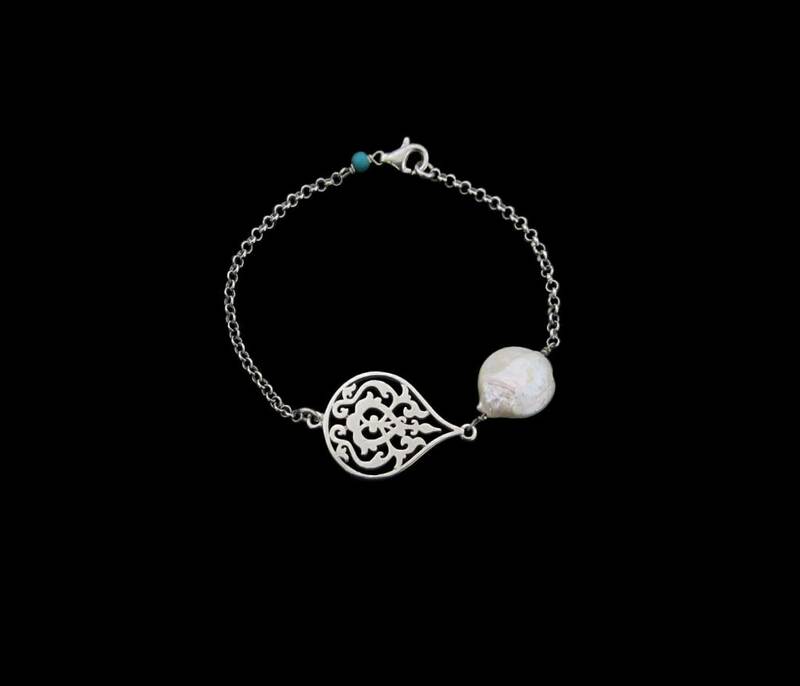 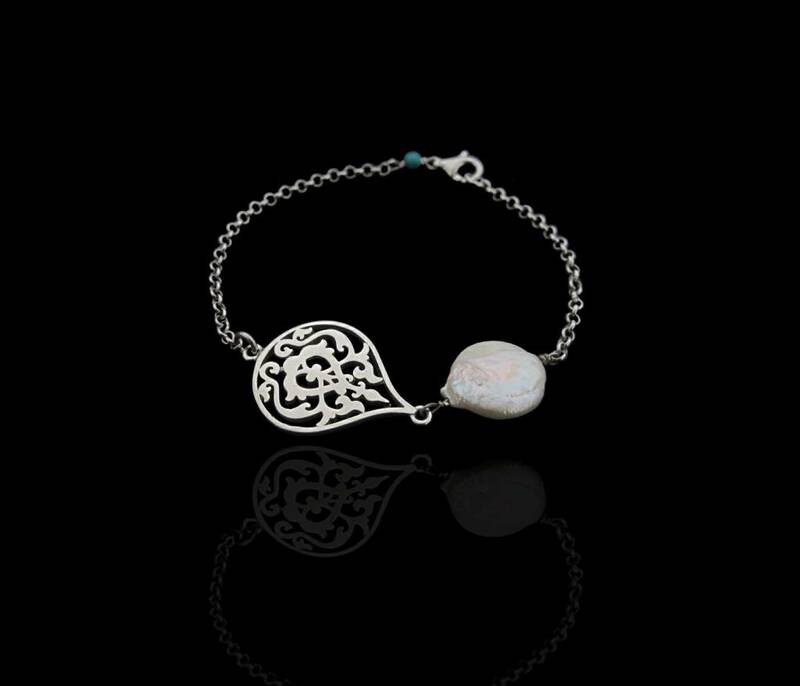 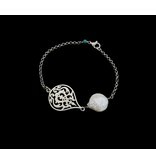 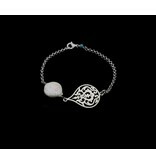 Arabesque motif with a button pearl on a silver chain bracelet. 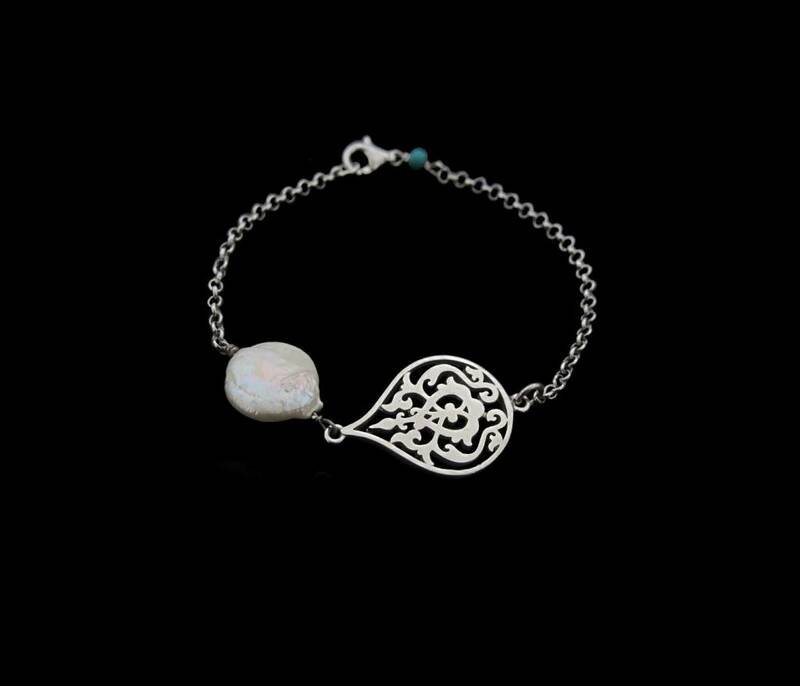 Intricate geometric and arabesque motifs, commonly used in Islamic art. 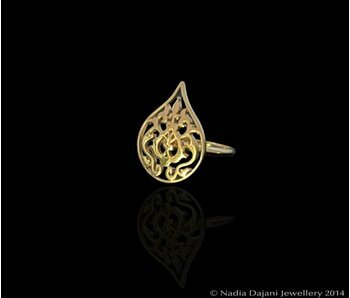 This collection pays homage to the ‘Arabesque’ in Islamic art: the application of interlacing geometric forms with sinuous forms of foliage & flowers. 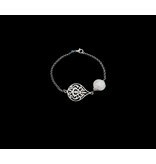 The geometric forms constitute an infinite pattern in composition, extending beyond the invisible material world, symbolizing the infinite and therefore uncentralized nature of the creation of the one God.